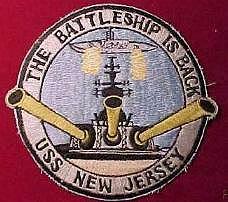 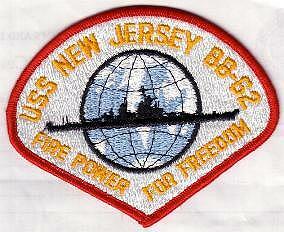 This shoulder flash was worn by enlisted men on the Battleship USS New Jersey C.1966. 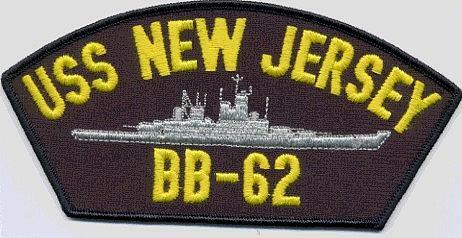 The patch is a current issue item as is the Baseball cap patch. 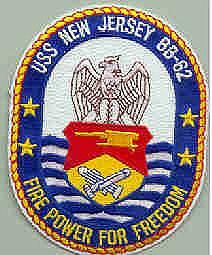 The USS New Jersey was decomissioned in 1999 and is currently berthed in South New Jersey.